I don’t know what happened, I just had to make this cake last night. Maybe it was how good it looked, maybe it was the mood I was in, maybe I’m just nuts. 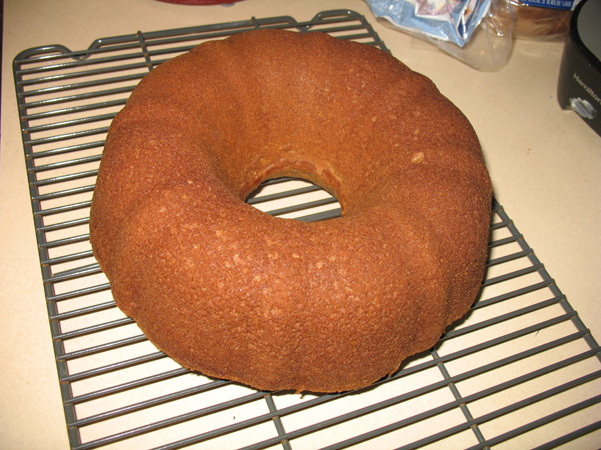 But I had to make a cake, and I did, and it’s delicious, and and it even looks good, which breaks tradition. 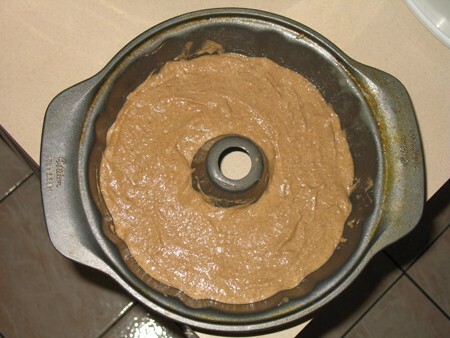 I saw the recipe on Pinterest yesterday and it just called my name until I found myself standing in front of a mixing bowl, adding baking soda, baking powder, salt, and spices to whole wheat white flour. The spices were what hooked me: cinnamon, nutmeg, allspice, cardamon, ginger, and cloves. 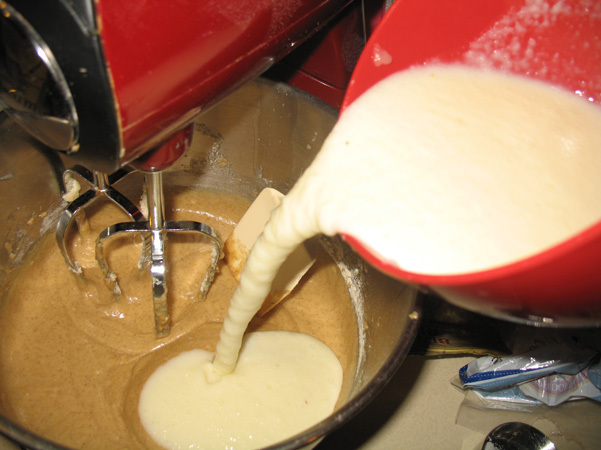 I used a lot more cinnamon, and a little more nutmeg and ginger. 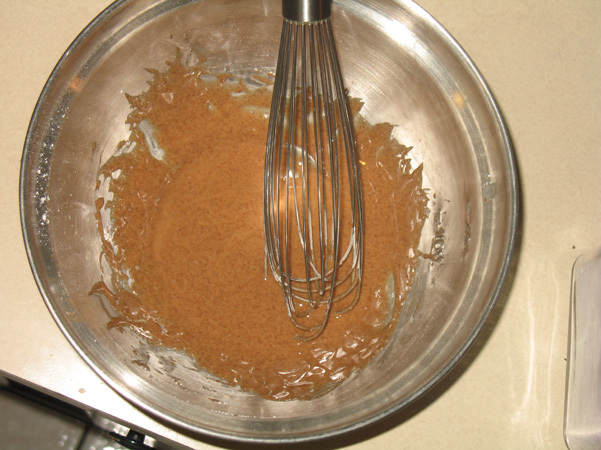 I even added a little pumpkin pie spice at the end, since I couldn’t come up with a reason not to. 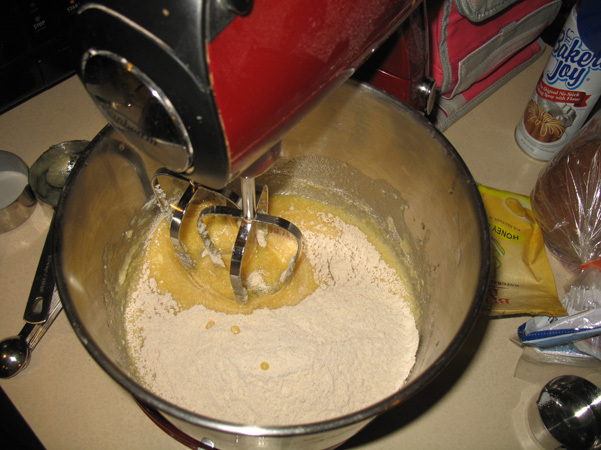 I whisked that together, and put it aside, then pulled out the stand mixer. The recipe only called for a quarter cup of butter, so I decided that didn’t require replacing. I creamed the butter and the sugar together with the vanilla. 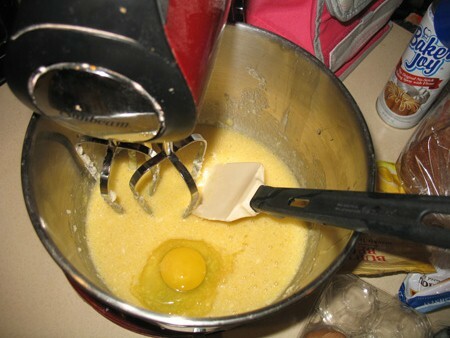 Then I added in the eggs, one at a time, beating as I went. I ended up with something more pourable than batter-like, but I kept going. 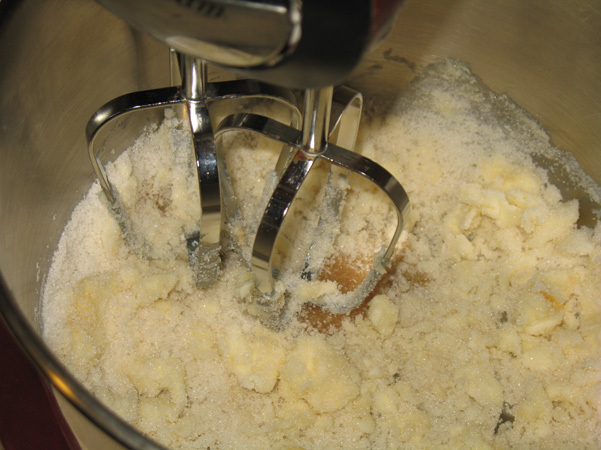 The next step was to mix the applesauce and buttermilk in a separate bowl. 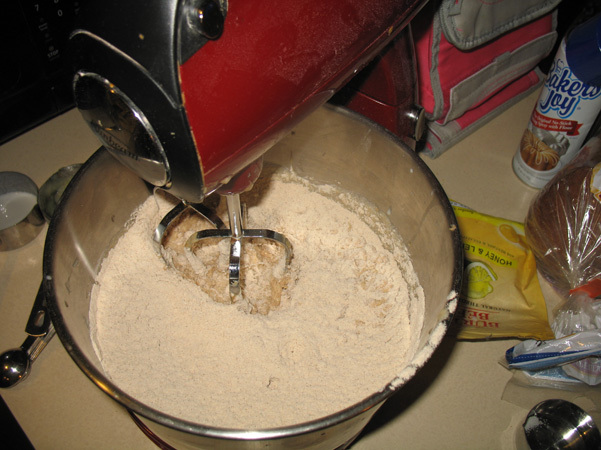 Then I reduced the speed on the mixer and added in about half of the flour mixture. Then I poured in the buttermilk & applesauce. 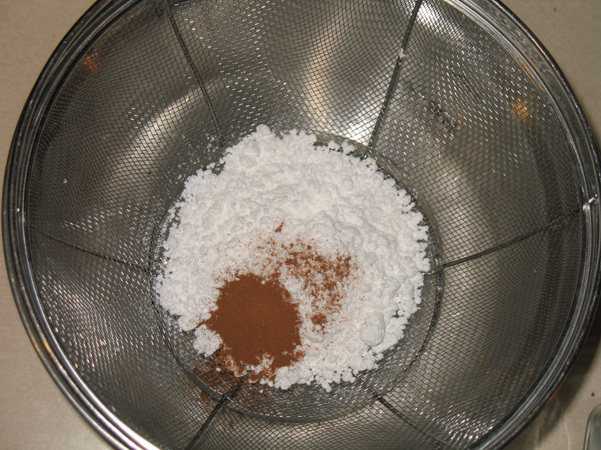 And once that was properly incorporated, I dumped in the last of the dry ingredients. 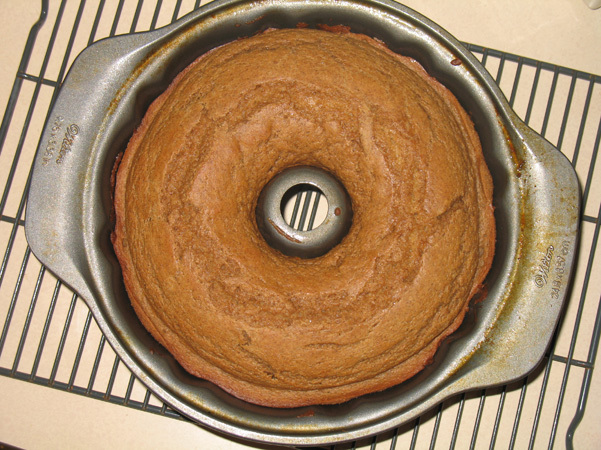 It poofed up a bit but once it was all mixed properly, I poured it into the bundt pan and smoothed out the top. Does it look like it’s about to fall off the counter? This is the kind of thing that makes Dave a little edgy, these little risky things that I do. He’s right to be edgy; I spill things a lot. But not this time. 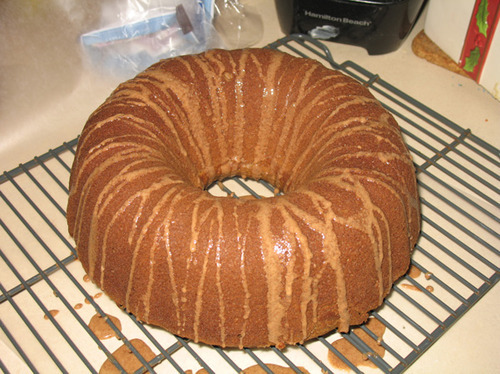 While the cake was in the oven, I decided to make the glaze. “Cinnamon sugar glaze” just sounded too good to pass up. 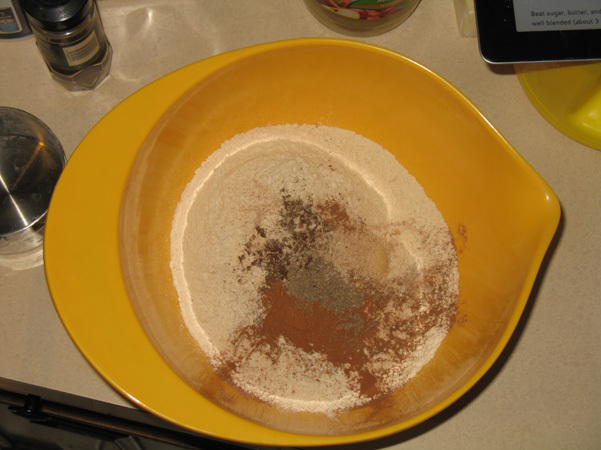 I sifted half a cup of powdered sugar with half a teaspoon of cinnamon. 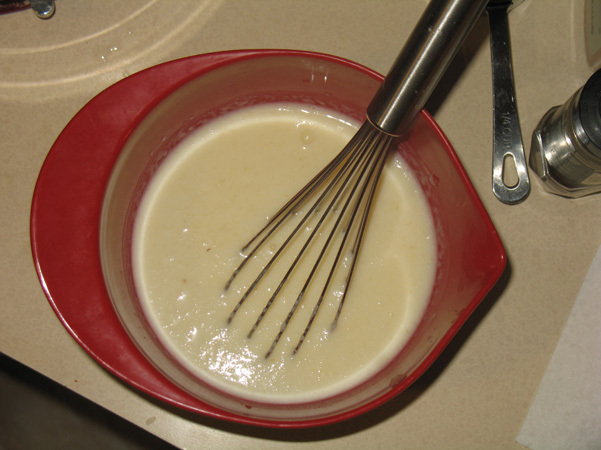 I whisked in some vanilla and water. And that’s when I realized how silly it was to make the glaze when I did. 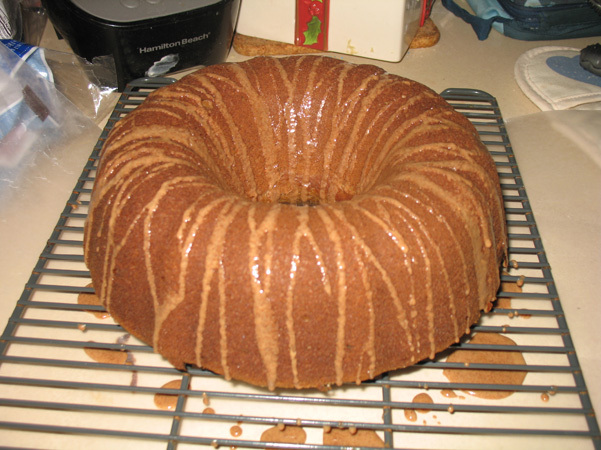 The cake hadn’t finished baking, let alone cooling, and the glaze was going to harden long before I was ready for it. Dave reassured me that all I’d have to do was add more water if it hardened, which would replace whatever water had evaporated. He’s so handy to have around. Still, I kept wandering back into the kitchen to re-whisk it while I waited for the cake to bake and watched my 8000th episode of Criminal Minds. 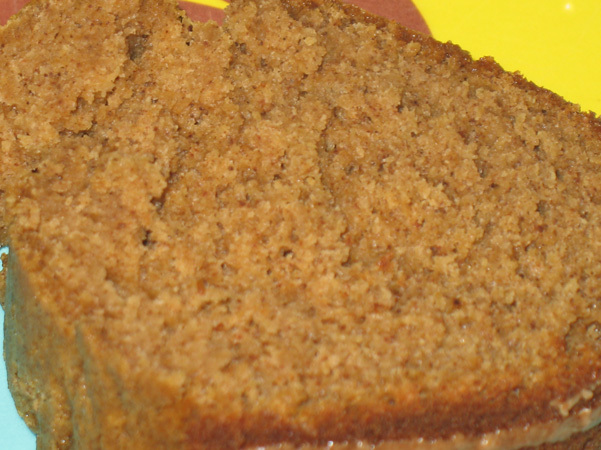 I also made a point of tasting it, which made me want to add it to everything I bake from now on. Or maybe just everything I eat. The cake was done in about 40 minutes. It looked good. It smelled good. I let it cool for ten minutes, then removed it from the pan. Once it had cooled, I added a little water back into the glaze — carefully and slowly — and then drizzled it on. Drizzling daintily is not one of my talents, but once I started I liked the way it looked so I kept going. And then, once the glaze had hardened I cut it open. It was really pretty perfect. The spices make you feel warm and toasty inside, the flavors come together beautifully, and then the glaze just tops it off with a light sweet crunch. I love it. Great call. I know I’m a weirdo who can’t stop baking, but guess what? There’s cake!